Jeans by JOKER – FREDDY: in a comfortable, modern fit with straight legs and a normal waist height and thigh width. 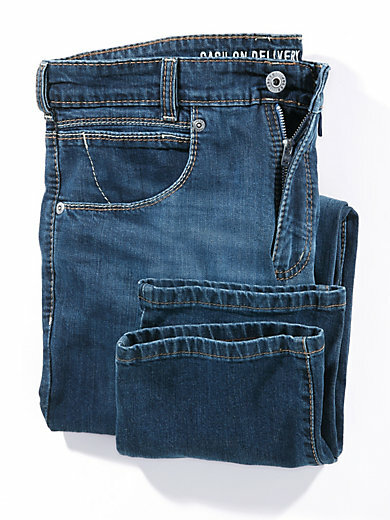 Top-quality hard-wearing denim featuring chic worn embellishments. Extra-strong yarn has been used to ensure extremely robust seams and a striking look. Belt not included. 98% cotton, 2% elastane. Ankle width in size 34/32 approx. 39cm/15ins. Inch length 30. The jeans are machine washable.